Landscaping: Hated Garlic Mustard Weed. I have another invasion on my hands I’m working to repel. It’s something called garlic mustard weed. It smells good, but would overwhelm everything on my property and my neighbors’ if I let it grow unchecked. The photo shows one of these weeds on the edges of my lawn, just before I uprooted the damn thing. 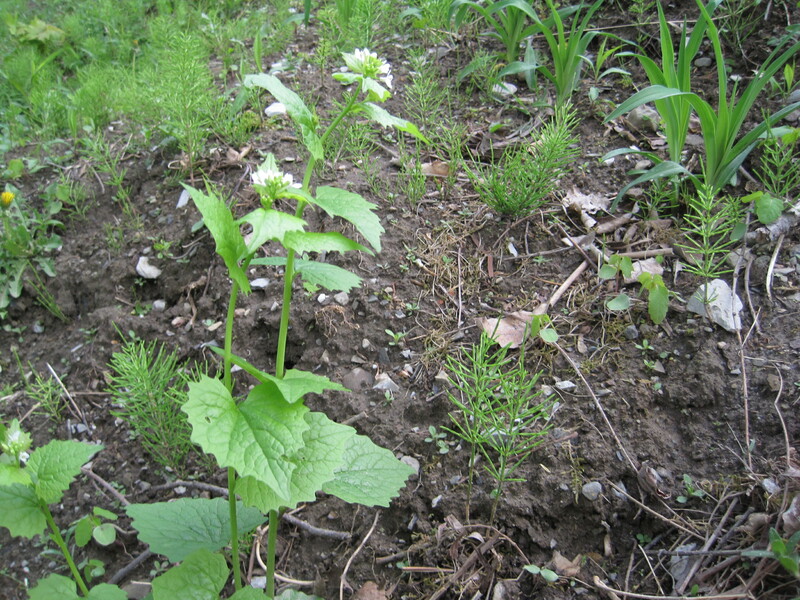 Many Vermonters and people in at least 30 states are battling garlic mustard weed If I don’t keep up with it, it will dominate almost the entire forest floor and shady areas on my property. In other words, most of my land. It trashes whole forest ecosystems by drowning out all the other plants animals and other creatures like. Invasive plant species are the bane of both the natural world and landscapers. Everything from Japanese knotweed to dandelions vex gardeners. Garlic mustard weed, even though it smells good, is one of the worst ones to deal with. Like so many invasives, I’m amazed at the persistance of GMW. The only real way to control it is to pull each weed by hand. Do it before the flowers go to seed, or it will really distribute itself. Everywhere. 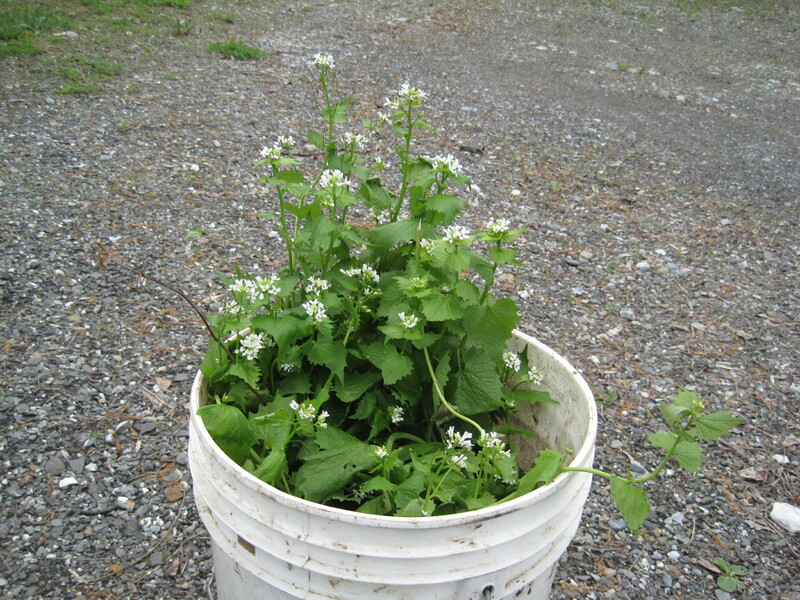 If you have some, whatever you do, don’t throw the uprooted garlic mustard weeds over the bank or into the compost pile. You’ll really get major new infestations that way. Best to burn it, or better yet, throw it in with the rest of the garbage. I try to dry it out and really kill it first, but the damn things are zombies that refuse to die. Eventually, I hope, these will thoroughly wilt, and I’ll toss them into a trash can. And now I have another permanent item on my summer to-do list. Keep pulling that awful GMW. This entry was posted on May 7, 2010 at 6:05 pm and is filed under Uncategorized. You can follow any responses to this entry through the RSS 2.0 feed. You can leave a response, or trackback from your own site.